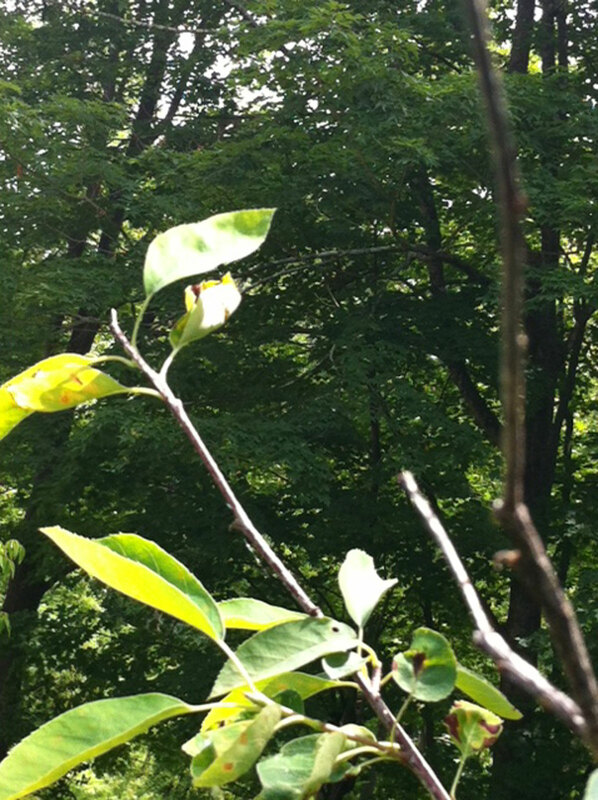 Here are photos of my Serviceberry. Can you tell me what the problem is? Thanks for any help you can give, I really do not want to lose this beautiful plant! From the photos it seems like you have two problems. I don't think you need to worry about losing the plant. 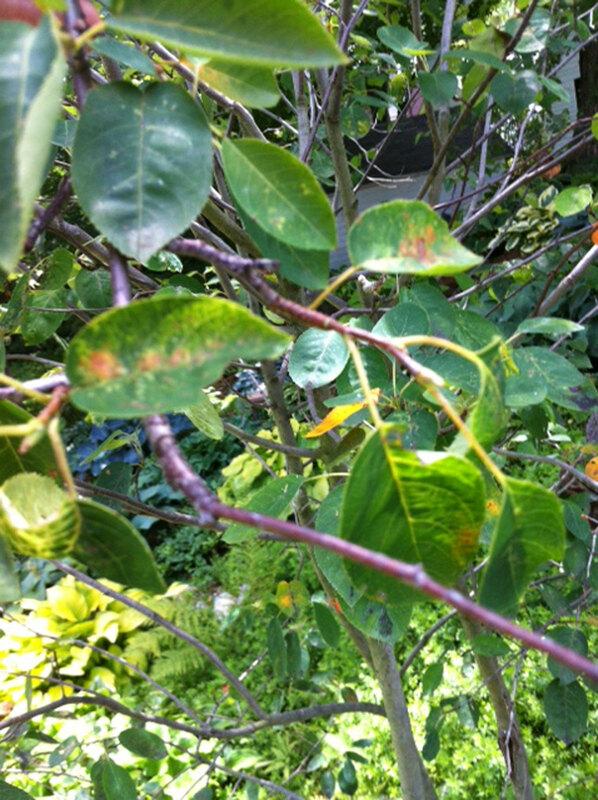 An insect with chewing mouthparts is the cause of damage on some of the leaves as shown on the photo. 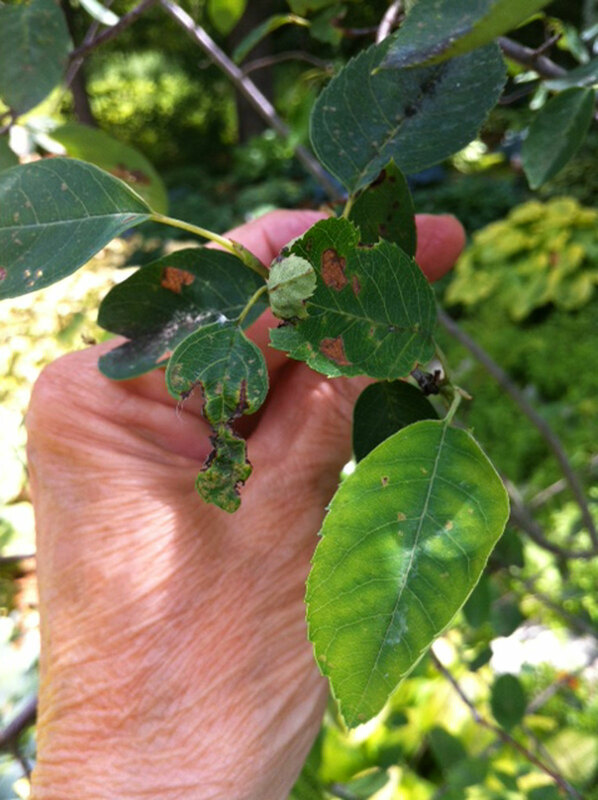 It is difficult to tell what insect it is without seeing the insect, but Japanese beetles can be a problem pest on serviceberry. Please check the plants closely and see if you have Japanese beetles. The photos also show some leaf spots. The spots indicate a fungal disease. The photos are not clear enough to be able to tell what disease it is. I would suggest that you send a sample to the UMass Extension Plant Diagnostic Lab. (There is a fee for this service.) 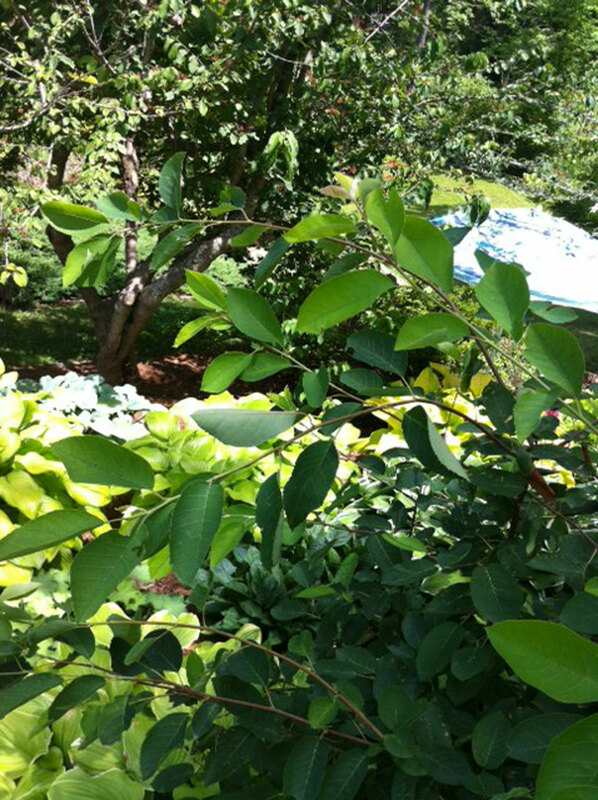 Here is the link for the Lab’s tree and shrub form.